What entity should my business have? Limited Liability Company – A Limited Liability Company (LLC) provides the tax advantages of partnerships with the limited liability of corporations. The LLC can be a traditional or series LLC in Illinois. There are also professional LLCs for ___. Corporation – corporations have their own tax structure and provide limited liability protection for owners as long as corporate formalities are observed. Can I change my business structure? Yes, if your business and legal needs change over time, you might want to change your entity. There are many reasons and ways to restructure, including going from a sole proprietorship to a LLC. Residential Real Estate: How should Title be held? Tenants in common– if nothing is stated, this is the default. Owners of property in common own an undivided fractional interest in the property, but they can still use the entire property. Tenants by the entirety – This option only applies to couples that are married. Tenants by the entirety has the same right of survivorship as joint tenancy but it also includes some protection against creditors. Only the creditors of the couple’s joint debts can be reached. The property cannot be partitioned, sold or encumbered without the permission of both spouses in the case of non-joint debts. Moreover, neither spouse can convey their half interest without the consent of the other. This tenancy is terminated by the death of one of the spouses, divorce or by agreement of the spouses. Further, it can be terminated by a court ordered sale to satisfy the joint debt of the husband and wife. Business Entity Selection – S Corp or LLC? A power of attorney is a document that allows a designated person that the principal chooses to make decisions for him or her. The power of attorney helps the person who executes it while they are still living and the document terminates on the person’s death. There are two types of Powers of Attorney: Power of Attorney for Healthcare, which allows the agent to make healthcare-related decisions and Power of Attorney for Property, which allows the agent to make financial decisions. People often think that their will needs to be updated if it was prepared many years ago. Surprisingly, this may not be necessary. The basic law involved in a basic will does not change that much over time. However, it is a good idea to check with a lawyer to see if the plan still meets your needs. A good lawyer will tell you if you don’t need to make any changes. Many lawyers also offer a short consultation at no cost. Here are a few things that might indicate that you need to update your plan: 1) if your assets have increased substantially since you prepared your will; 2) If you have opened joint bank accounts or accounts that have a named beneficiary; 3) if you were not worried about probate costs when you prepared your estate plan last time. My parent recently died and I am the executor. What do I do? Learning that you are listed as the executor of an estate can be stressful. The first thing you should know is that you do not need to handle everything alone. Most executors hire an attorney to help them through the process. The attorney explains the process and guides you through the steps necessary to process the estate. The attorney’s job is to protect you from creditors and heirs who may think they are entitled to something. Often, executors end up contacting the lawyer that drafted the will, but that is not necessary. The most important thing is to find a qualified attorney that you feel comfortable working with. A good probate attorney will offer you options to do more work and avoid some legal fees, or to let them handle everything. If you would like to know more about the probate process, feel free to call. you might also want to check out one of our articles on this topic: ______________. In Illinois, when a person dies, their estate usually must go through a process known as probate. Probate is a way for the court to ensure that the estate funds are collected and distributed according to the law. There is an exception for “Small Estates” which is defined as estates under $100,000. By signing a small estate affidavit, the bank can release certain funds directly to the executor named in the will. This can be a great thing, but you need to be careful. The person signing the small estate affidavit must make a number of promises (under oath) and can be liable for any errors. For example, you must list all debts of the estate in that affidavit. If you leave out the $25,000 hospital bill, and then take the 25,000 from the account, then you are going to be liable for that bill. It is a good idea to consult with an attorney about the use of a small estate affidavit. Often, an hour or two of attorney time is sufficient to make sure that you are fully protected. The short answer is no. Of course, it is a little more complicated than that. If you are hospitalized for an injury, Medicare may pay for a period of rehabilitation in a nursing home. Typically, they will not pay for more than 100 days of care. If you need care after that, or you need long term care for a an ongoing chronic illness, medicare is not going to help. The Medicaid program will sometimes pay for long term care, but only if you meet their requirements. Medicaid will only pay for care if you need skilled nursing care and you are unable to pay for it yourself. For single people in 2016, Medicaid will pay for care when your assets are below $2,000. There are a number of complicated rules related to qualifying for Medicaid. You can learn more about these at ________. You can also get in touch with one of our elder law attorneys. Can an elder law attorney help me figure out how to pay for nursing home care? Nursing home care is expensive. An elder law attorney cannot change that fact, but they may be able to help you protect as much of your money as possible. For example, if one spouse needs nursing care, but the other is still healthy and able to live at home, it can become important to protect assets for that spouse. If one or both spouses need to qualify for Medicaid benefits, you need to know the rules. Simply transferring money to a relative can result in Medicaid imposing penalties and denying benefits. In these types of cases, getting advice from an elder law attorney can be critical. What is guardianship? And how do I know if I need a guardian appointed for my parents? Guardianship is a legal process in which a person (known as a petitioner) asks the court to appoint a person to make medical decisions (guardianship of the person) and/or financial decisions (guardianship of the estate) for a person who no longer has the ability to decide for themselves. If the court agrees that a guardian is needed, they will appoint the petitioner or somebody else to act as guardian for the disabled person. 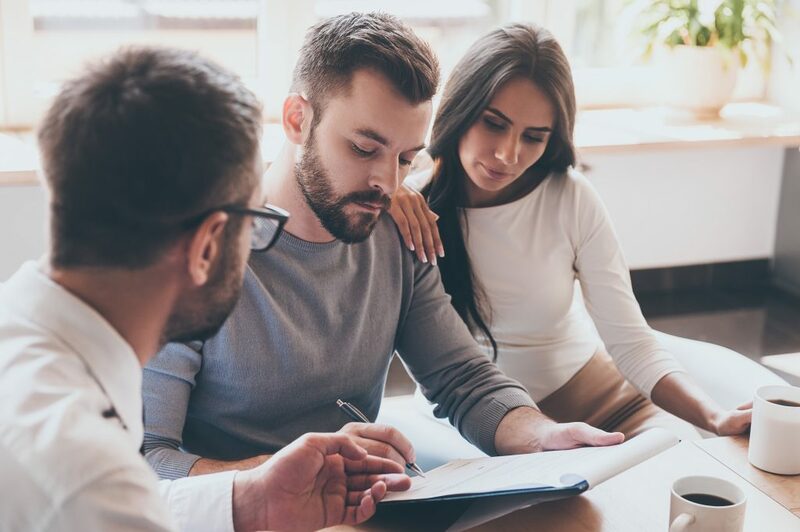 Many people sign an advance directive such as a power of attorney, which names a person to make these decisions for them. If a person has prepared a power of attorney in advance, there is usually no need to seek guardianship. The agent named in the power of attorney can simply begin making decisions. It is only if you do not have a power of attorney that it can become necessary to go to guardianship court. You may want to check out our full article on this topic at _____________________. What is the Leading Cause of Death Among Seniors? Can I Sue for a Dog Bite Injury? Probate is a court process in which debts, taxes and remaining expenses of the decedent are paid and the remaining assets are distributed by the terms of the will to those who are entitled to them. Property that is titled only in the decedent’s name is “probate” and will need to go through the probate court process to pass through the terms of the will. You can avoid probate by setting up your assets in certain ways. For example, property, such as a checking account that the decedent held jointly with another person will pass automatically on the decedent’s death to the other person. Thus, nothing needs to be filed or go through the court system. Additionally, assets that name a beneficiary, such as life insurance proceeds, will also pass automatically and will not have to go through probate. Other Property such as trusts, IRAs, Annuities and Land Trust Agreements can also be exempt from probate. Speaking with an attorney can help you determine the best options to ensure that you will avoid probate.